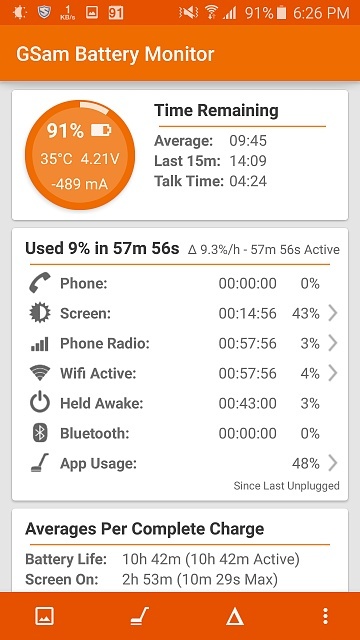 I really need urgent help: S6 Edge won't go to sleep, draining battery overnight! How can I fix this? This is my first post here. I am new, both to android and my S6 Edge. It is on 5.0.2, rooted, and PLEASE do not tell me to RESET TO FACTORY. I can't really do it because I don't want to, there is a lot of great apps and the internet in my country is very bad. Idk if it is due to the root itself, but I really need help from professionals. I came back from another forum with no luck. The closest I got was "cocktailbar service", and my S6 Flip cover (they don't have Edge cover so I improvised). I check every night for wifi, location services and running activities. However, no matter what I do, I fail. It won't go to sleep. When I wake up, it is really warm and it is at 50-60%. I think it is something you guys call wakelock. This is really frustrating; one reason why I like Apple and their iOS. I tried various methods. I have some screenshots you can take a look at. You see that it won't go to sleep, not for a second and the CPU is really hot. Please suggest me what I could do ASAP, except update/factory restore. I really need some help and I am desperate... I am really sweating and panicking. Did I break it? It isn't that simple, mister sherlock. I would have figured it out by then. -__-"
How was it rooted, original way or latest PingPong root? 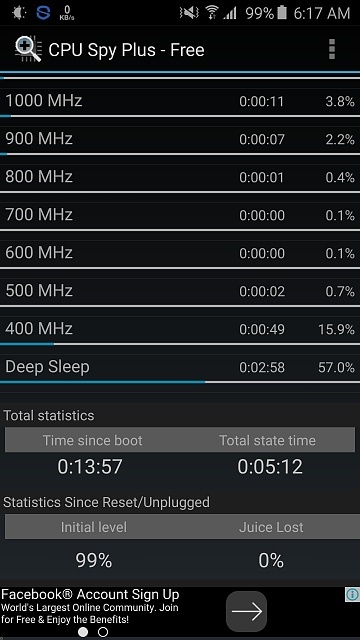 I'm asking because there was a huge issue with Wake Locks and Deep Sleep with the original method and it seem like it was normal for rooted S6/edge to not going to deep sleep. I think there was a work around but can't tell you for sure as I didn't pay too much attention as I don't have any plans to root mine. I don't know if the other forum you came from is XDA forums, but if not, go there, you will definitely get a lot more help in there as it's basically the root of all Android development. I'd recommend you to do a factory reset and don't root it for now, just to see if your drain is related to your root or the similar issues other non-rooted people are having. If by any chance you decide to do it, I'd use Helium to do a Backup of most of your Apps and Data, plus a Backup using Samsung Smart Switch, then after you factory reset it, do the restore of both backups and follow the Tweaks and suggestions me and others have posted as it has helped a lot of people with similar issues but you already are saying that don't want to Factory Reset so that's a moot point. First off, thanks A LOT for the reply! I don't wanna factory reset, as I am getting real close and a simple unroot reroot might help. I wanna talk with you over skype, is it okay? (chat)? Sorry man, but like I mentioned in the PM I can't do Skype and don't even have it installed, but feel free to post here and will try my best to help. According to the link you posted it is definitely the original root, the new one is called PingPong Root, check it here. You can see a couple of threads over XDA mentioning the issue with the wakelocks and no deep sleep after root, here it's one, No deep-sleep? | Samsung Galaxy S6 Edge | XDA Forums, like I mentioned above I didn't pay attention to it but I think I read at one of those threads that there was a work around, see if you can find about it. Also, now that you mention that maybe doing a re-root, well, try that with the new PingPong root, but at least go to recovery mode and do a Wipe cache Partition before and after you do the re-root, to see if it helps. katmandoo122 and Alex_M3rcer like this. I just wanna give a little update info. I did try your method of unrooting and rerooting. It may be the problem; I am not entirely sure. I updated my software to the latest with Smart Switch, headed to the devs' forum and rooted with no problem. 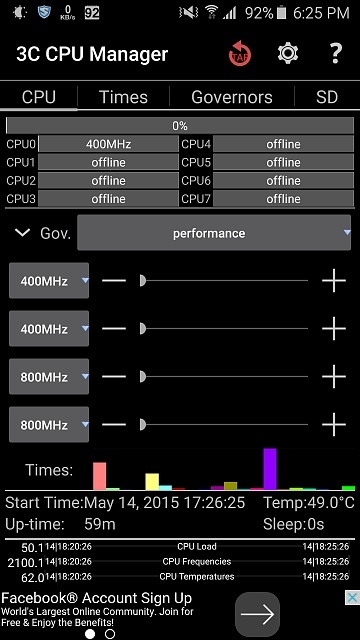 P.S Device is a little warm... What's wrong with it, I am not sure. Background apps...? I tried sleeping, but can't; ended up back on my PC after 15 minutes just to check my phone out. It's not warm like it is used to before. It is now conserving much energy, and going into deep sleep! Man, thanks A LOT for your help! I mean, a lot, so much that I can't even put it into words... I will never forget you, buddy! One thing though, now that you have everything running as it should, Uninstall al those apps you installed for root checking and that one I'm seeing in the pictures you have posted that seems to be monitoring the country and others, you don't need anything like that, but if you want to use something similar just use the one that may have come with the phone, Smart Manager, and if you also have Lookout antivirus, disable it, you don't need it either. All those apps are battery drainers and can make your phone to run warm or hot, that just means that is using lot of Cpu and battery. Also don't forget to check the Tweaks and tricks thread and see if you can pick up a couple of those hints that will help you even more. Good Luck. Roger that. Got rid of them, and will check the thread out! I'm wondering if you might be able to help me as well. I have a S6 Edge+ that worked perfectly until I had the sim unlocked by a GSM store. Ever since then the battery drains super fast, and the phone does not go into deep sleep. I tried a factory reset but that didn't help either. I saw threads around no deep sleep, but all of them seem to be for custom ROMs or rooted phones. 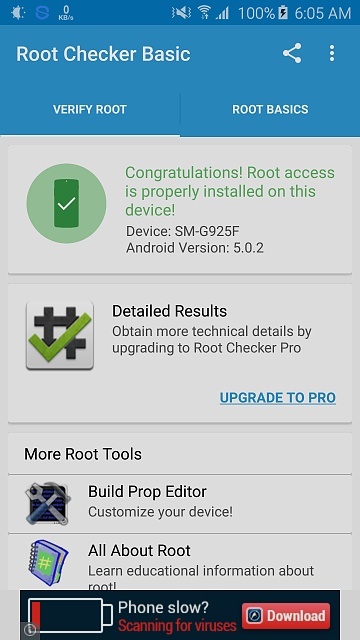 I don't think my phone is rooted, though not sure what they did to it exactly. I'm on Android 6.0.1. Any suggestions? Your help would be much, much appreciated. help!!! !whats compatible with the s6 for watching on your tv from ur mobile?? How turn off text messages to email (Microsoft exchange) in galaxy s6 edge?